While Reading:As soon as I saw post-apocalyptic and aliens together in the same sentence, I wanted to know more. Midnight City is unlike like anything I have come across before. Part alien invasion. Part post-apocalyptic. 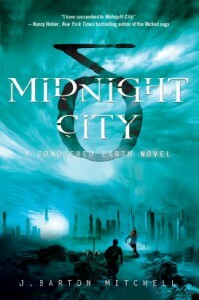 Each element blending together to create a read that is completely fresh and original.Much of Midnight City rested on Mitchell's world creating skills. 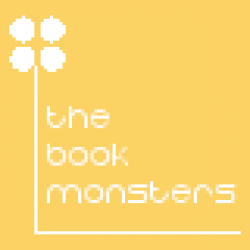 Before I really got into the read, I began wondering about this world's possibilities. I knew if done right, Midnight City could be an amazing read. But one wrong turn, could also as easily transform Midnight City into a hot mess. After reading a few pages, Mitchell's world creating skills began to show, and I was left in awe.The beauty of Midnight City is that I have never come across anything like Midnight City. Oh sure, I have read plenty of alien books or post-apocalyptic reads, but none that have blended the two together in the way that Midnight City does. The fractions. The Strange Lands. The Forsaken (oh, my goodness, those things almost gave me nightmares!). All these little aspects coming together give so much depth to this read.Awe-inspiring world creation? Check. How about our characters: Holt, Mira, and Zoey? The answer: just as wonderful. The gang (aka: Holt, Mira, Zoey, and (the) Max) were delightful. Each adding a new level to understanding of Midnight City's world. No two characters were alike. Each bringing their back stories to the table (eventually) to add a better understanding of how these changes have effected them. Holt being immune, carrying the guilt of losing his family. Mira losing her control slowly against the Assembly. Zoey, a child who has lost her memories, but could possibly hold the key to Earth's salvation. I could not have asked for a better set of characters.Final Verdict:I am 100% smitten with Midnight City. Midnight City completely swept me off my feet. I never expected to feel such a strong bond with this read. But it happened, and now I want to know as much about this world, and our characters as possible. Mitchell is a skilled writer. Giving just enough away about the plot and the world to satisfy, but leaving so many other details partially answered for tackling in later installments. Oh, how I wish I could have the next installment now.